Breastfeeding is the number one way to insure a healthy start to your baby’s life. And there are health benefits for Mother, too! At the Elliot Hospital Maternity Center, there are specially trained nurses to assist you to successfully breastfeed. In addition there are lactation consultants that are certified though through the International Board of Lactation Consultant Examiners. 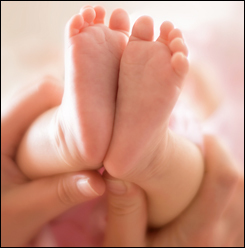 They provide special support to insure that you and your baby have a healthy start. By helping you and your baby in these first days after birth, we support you. If you would like to know more about breastfeeding, Click Here. If you choose to feed your baby with breastmilk substitute, formula, we will support your choice and guide you in learning care for and feeding your baby, Click Here. 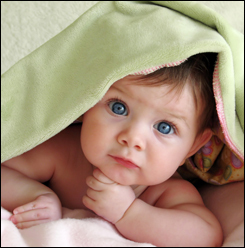 Your newborn care provider examines your baby and talks with you about keeping you baby healthy. And these providers have all the specialists of Elliot Health System immediately available, should your baby need them. Sleeping in the same room with your baby, “rooming-in” is another way to help you get a good start with your new baby. Skin-to-skin- while awake is important, When you fall asleep, it is important for your baby to be in his or her own bassinette. You will sleep in short, deep periods, and this will help you to adjust to your new life with your baby and helps you to know early cues to your baby’s hunger. If you would like to know more about rooming-in and why, at the Elliot, we provide mother-newborn care together, click here. If you have a baby born a little bit early, you will hear the nurses and doctors say “Your Late Preterm Infant.” These are babies born between 34 and 37 weeks gestation, so they are 3 to 6 weeks early. There is important information we want every parent to know about a baby born late preterm (also called premature or “premie”). Click here to read about Your Late Preterm Infant (Link to “Your Late Preterm Infant: What Every Parent Should Know”). If you are a pregnant women using opioids, there are things we want you to know about the care of your baby. There is information about this in the Elliot Hospital iBirth app, and you can click here for a handout about Neonatal Abstinence Syndrome (NAS). This is the name used for the group of symptoms babies have who are withdrawing from opioids that their mother used during pregnancy. All newborn care at the Elliot Hospital is centered on recommendations from experts: Nurses, doctors, and lactation consultants, all helping you recover from your birth and feeling confident about the care of your baby. If you would like to know more about what the experts say about a calming a fussy baby, click here. Compassion, care, healing and wellness. These are the values of the Elliot Hospital. These are the ways that we serve you. These are the values that you will feel when you have your baby with us.